Wednesday Feb. 18 marked the cutoff for bills to pass out of their house of origin. 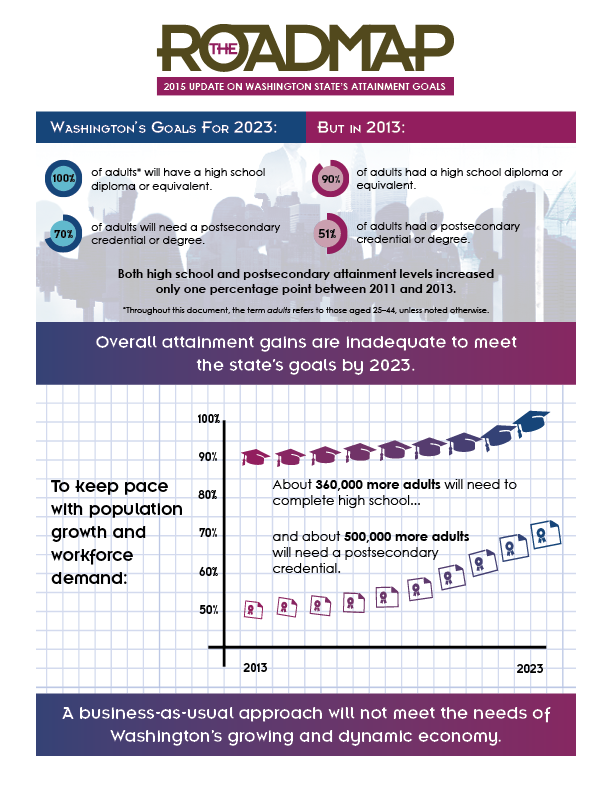 As we enter the second half of the 2016 Legislative Session, WSAC continues to work closely with the Legislature to advance policies that increase educational attainment. 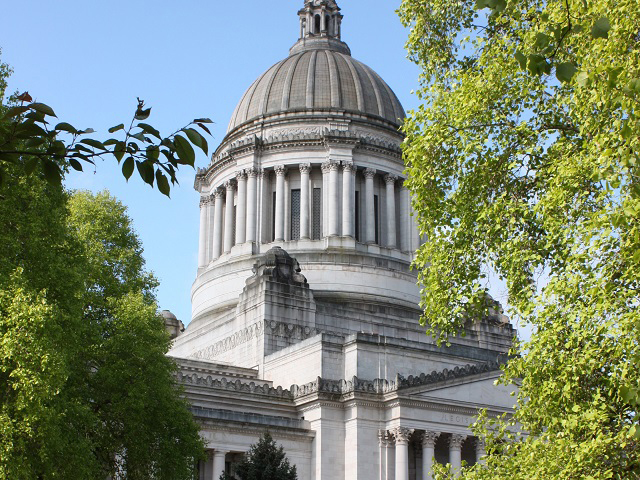 This week the Senate passed E2SSB 6601, a proposal that would create a traditional 529 college savings plan as an additional option to the Guaranteed Education Tuition (GET) Program, Washington’s prepaid tuition plan. The House Higher Education Committee will hold a public hearing on the bill at 8am on Tuesday Feb. 23. 529 savings plans have tax benefits and the state-sponsored program would give families another way to save money for college. They can be good options for families with older children or for working adults who are planning to put themselves through college. The Senate Early Learning and K-12 Education Committee will hear the House’s bill, 4SHB 1541, which implements strategies to close the educational opportunity gap. The bill stems from recommendations made by the Educational Opportunity Gap Oversight and Accountability Committee (EOGOAC). It advances policies to increase education attainment among students who are historically underserved in K-12 and underrepresented in higher education. According to data analysis in the 2015 Roadmap Update, students facing opportunity gaps are among the fastest growing K-12 student populations. The House Education Committee’s Feb. 18 meeting included a work session on dual credit and college placement. WSAC’s Noreen Light presented, along with staff from the State Board for Community and Technical Colleges and Office of the Superintendent of Public Instruction. Stay tuned for budgets next week. The House is scheduled to release its budget on Monday Feb. 22 and the Senate on Friday Feb. 26. On Thursday, WSAC presented the 2015 Roadmap Update to the Senate Higher Education Committee. The committee also heard from WSAC’s partners, the State Board for Community and Technical Colleges and the Council of Presidents. Education professionals from the western United States gather at the annual GEAR UP West conference to share best practices for helping low-income and underrepresented students prepare for and succeed in college. 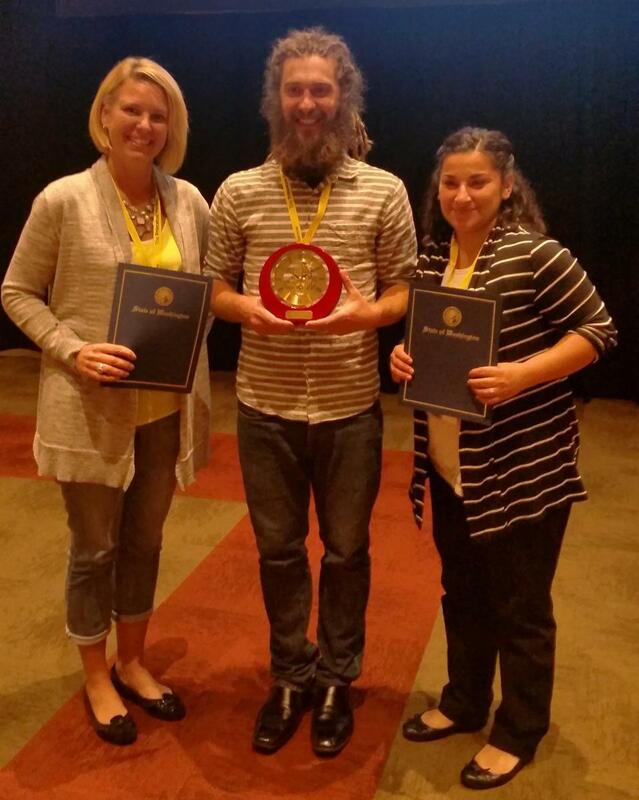 During this year’s conference, Spokane Public Schools’ GEAR UP Liaison Kipton Solmonson received the GEAR UP West Professional of the Year award for his exemplary work as a student advocate and college access practitioner. Solmonson, nominated by his peers, draws from his own experiences to inspire a passion for perseverance to the college finish line. Working collaboratively with his GEAR UP and Spokane Public Schools’ colleagues, he developed a full-day, high school transition experience for his 8th grade students. Solmonson shared the practice in a GEAR UP workshop, and since then it has been implemented in other schools, positively impacting thousands of students throughout Spokane County. The GEAR UP West Professional of the Year Award is selected by a cohort of GEAR UP education professionals. Two other Washington GEAR UP professionals were nominated for the 2015 award: Alicia Naig, a GEAR UP graduation specialist at Everett High School, and Rosalie Sigler, a GEAR UP site coordinator at West Valley High School. Postsecondary institutions see Smarter Balanced test scores as an opportunity to improve academic transitions from high school to college. Over 200 postsecondary institutions in seven states—including Washington’s community and technical colleges, public four-year universities, and nine of ten Independent Colleges of Washington (ICW)—have agreed to consider Smarter Balanced test scores when determining if newly enrolled students are ready for college-level courses. These agreements offer a key benefit to 11th graders: score a three or four on Smarter Balanced tests and skip remedial math and English courses at participating colleges. Based on their English Language Arts (ELA) scores this past year, many incoming high school juniors stand to benefit. Seventy-four percent of incoming high school juniors—last year’s sophomores—met the college-and-career-ready standard on the Smarter Balanced ELA test. This means almost three-quarters of next year’s high school graduates could skip ELA placement tests and remedial coursework, depending on where they go to college. However, almost 50 percent of incoming high school seniors refused to take the tests. Students who refused to take the test received a “0” score, so only 26 percent met the college-and-career-ready standard on the ELA test, and less than 14 percent met that standard on the math test. Skipping remedial courses saves students time and money. It may not seem like a big deal, but skipping remedial courses saves time and money for a lot of students when they get to college. Remedial classes don’t count towards a degree, but students still have to pay for them. In 2013, over half of Washington’s recent high school graduates who enrolled in our state’s public institutions had to take at least one remedial class. By refusing to take the Smarter Balanced tests, almost 50 percent of incoming high school seniors missed out on an opportunity to save time and money in college, should they choose to enroll and complete a degree or certificate program. Scores signal readiness for dual credit or need for more support. For students who score at a college-and-career-ready level, dual-credit courses are a natural next step. Dual-credit courses allow students to earn high school and college credit simultaneously. The scores are also used to identify students who need more support before they graduate. OSPI has developed intensive 12th grade “Bridge to College” classes to get these students college-ready by the time they graduate. Bridge classes will be offered at 83 of Washington’s 295 school districts this coming year, and OSPI plans to have these classes available statewide by the 2016-17 school year. 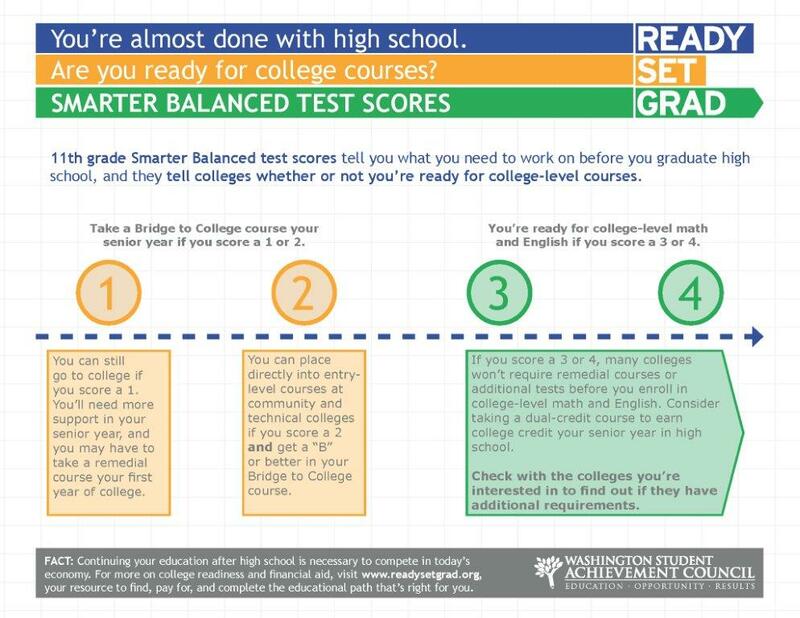 Students who score a two on Smarter Balanced tests—and earn a “B” grade or better in their bridge classes—will be able to enroll in college-level courses at Washington’s public community and technical colleges. 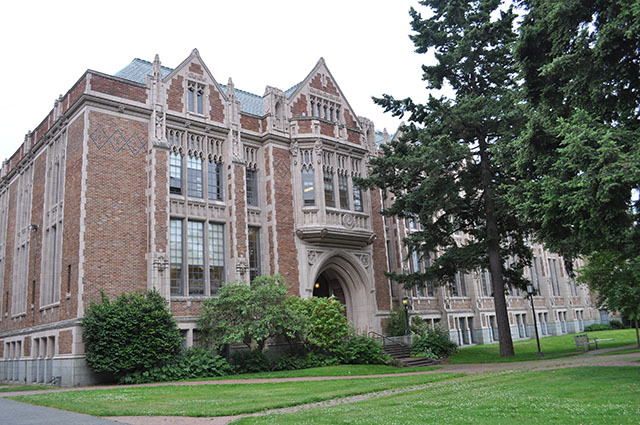 These students may still need to pass other placement tests to enroll in college-level coursework at Washington’s public four-year baccalaureate universities. Students who score a one on the Smarter Balanced tests will need additional, personalized support during their senior year of high school, and may still need to take pre-college (remedial) courses when they enroll in college. There is much controversy about Smarter Balanced tests and the Common Core State Standards they assess. But with over 200 postsecondary institutions agreeing to use the tests as a measure of college readiness, high school students have an opportunity to save time and money further down the line. The Legislature passed an operating budget that makes important strides toward increasing educational attainment in Washington State. “The students of Washington State are the beneficiaries of sound bipartisan action on the part of Governor Jay Inslee and the state Legislature. The actions by our state elected officials to support educational attainment from cradle to career are unprecedented and key to the health of the state economy,” says Council Chair Maud Daudon. The final budget adds $1.3 billion to K-12 education, reducing class sizes in grades K-3 and expanding full-day kindergarten. The Legislature increased funding for postsecondary education by approximately $292.8 million. The Legislature reduced tuition at public postsecondary institutions. Institutions will receive additional funding to make up for reduced tuition revenue. WSAC staff are actively engaging with lawmakers and the public about impacts of this reduction on the Guaranteed Education Tuition (GET) Program. The tuition reduction bill, 2ESSB 5954, directs the GET committee to keep the same payout value for the next two years and gives the committee flexibility to make other changes. The GET committee will discuss different options at their public meeting on Monday July 13. The Legislature continued investments in student financial aid. The Legislature maintained its commitment to the College Bound Scholarship program, and the next two cohorts will be fully funded. The Legislature maintained the service level of the State Need Grant program. The operating budget does not include increased funding to serve additional students who qualify for State Need Grant and State Work Study programs. The Legislature invested in STEM education. It provided $41 million for the Opportunity Scholarship, a public-private partnership, to match expected private donations. The program provides financial aid to students in high-demand STEM programs. The Legislature ensured veterans can continue using their education benefits at Washington’s public postsecondary institutions. Washington is now in compliance with federal requirements in the Veterans Access, Choice, and Accountability Act. WSAC recommended this legislation, and ESSB 5355 was requested by the Governor. If this legislation had not passed, almost 22,000 veterans would have been impacted, which would have jeopardized $56 million in tuition payments to our public postsecondary institutions. The Legislature expanded the reach of dual-credit opportunities. By passing E2SHB 1546, the Legislature clarified definitions related to College in the High School and Running Start dual-credit programs. Funding was provided to expand dual-credit opportunities. The Legislature expanded medical education opportunities. The Legislature authorized Washington State University to begin accreditation of a new medical school, providing $2.5 million to launch the effort. The Legislature also provided $8 million for the University of Washington to expand primary care residencies and $9 million to expand WWAMI medical education. The Legislature directed development of best practices to address sexual violence on college campuses. The Council of Presidents will convene a task force and report back to the Legislature annually. More information about specific bills is available in our 2015 Legislative Overview. More funding information can be found in this comparison between WSAC's 2014 Strategic Action Plan recommendations and the final operating budget. Washington State University President Elson Floyd was a champion for access and opportunity in higher education. Dr. Floyd was also a part of the Washington Student Achievement Council’s organizational history, serving as the Executive Director of the Higher Education Coordinating Board from 1993 to 1995. His relentless belief that education was an essential investment in human potential stands as a model for all of us in Washington. He believed strongly that demographics were not a student’s destiny. Education was the great equalizer for Dr. Floyd, and he committed his life to ensuring all students were provided the opportunity achieve their potential in postsecondary education. He was a giant in the field of higher education in Washington. His influence was profound. His voice will be missed. Visit the WSU tribute page and The Seattle Times to learn more about Dr. Floyd and his legacy.